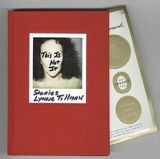 This Is Not It, Lynne Tillman's collection of 20 years' worth of important and compelling short stories and novellas, the protagonists seduce you into their lives and thoughts. Engaging, funny, elegant and ironic, Tillman takes the reader to new heights of wit and meaning through staccato phrases, grammatical twists and sensuous language. Familiar worlds of honesty, deceit, dark humor, pleasure, pain, confusion, dependence, love and lust each play decisive roles in her believable fictions. In "Come and Go," three characters and an author collide. In "Pleasure Isn't a Pretty Picture," the reader is treated to a he/she meditation on the one-night stand. And "Dead Sleep" is truly an insomniac's worst nightmare. A twin act on a double bill, This Is Not It is a collection of innovative and stand-alone writing that also engages and matches wits with the some of the best contemporary art: work by Kiki Smith, Jane Dickson, Jessica Stockholder, Diller & Scofidio, Laura Letinsky, Peter Dreher, Roni Horn, Stephen Ellis, Juan Munoz, Vik Muniz, Silvia Kolbowski, Jeff Koons, James Welling, Aura Rosenberg, Barbara Ess, Barbara Kruger, Dolores Marat, Haim Steinbach, Gary Schneider, Marco Breuer, Stephen Prina and Linder Sterling. Since 1982, acclaimed novelist Tillman has created these unique narratives that are a parallel universe to the contemporary art world. Maybe they're analogues or dialogues, maybe fictions inspired by art, maybe reflections, or meditations--but whatever they're called, like Borges's fictions, they are their own worlds, too. 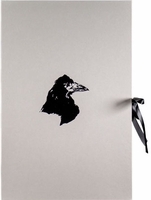 Tillman has marked out terrain of her own, which this collection celebrates. Full of life and art, This Is Not It is illuminating, bold, subtle and riotous. 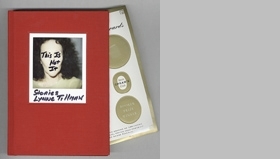 This limited edition of 100 numbered copies comes in a special red cloth binding with a tipped-in, hand-titled and signed polaroid portrait of the author, and a set of fake book club award stickers. 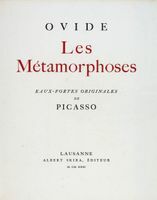 FORMAT: Hardcover, 6 x 8.5 in. / 256 pgs / 24 color.